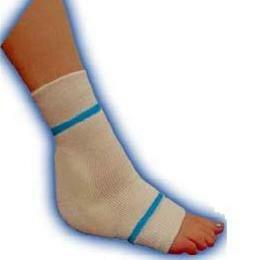 Helps to reduce pressure and chance of decubitus ulcers on ulcers oninjured or sensitive heels or elbows. Plush pad encased in a pliablesock. Sold by the pair. Can either be used on the heel or the elbow.